The 2012-2016 Suzuki GSXR 1000 full exhaust kit is the powerful performance and signature MotoGP-style exhaust you’ve been looking for. 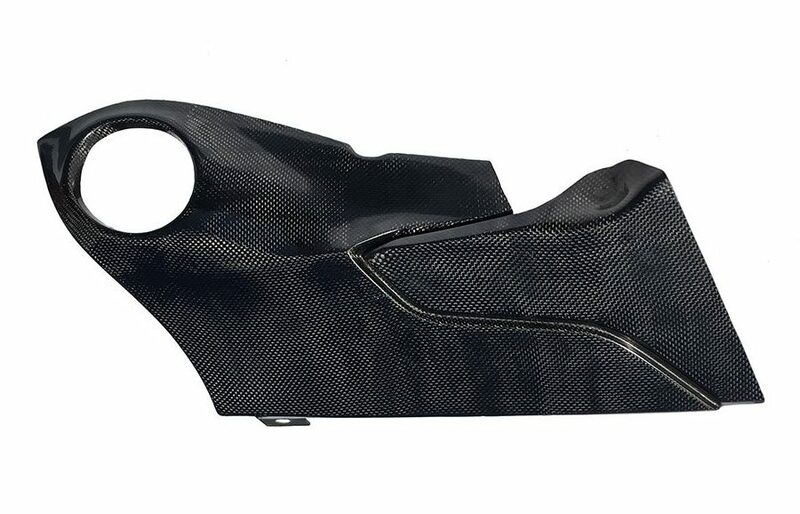 Our racing-design, all stainless-steel full system with tapered headers and both left and right side trim panels made of 100% pure carbon fiber. This results in an exhaust that is ultra-durable against high temperatures and the regular wear and tear of everyday riding—and trust us, you’ll want to ride every day with a TaylorMade exhaust installed. 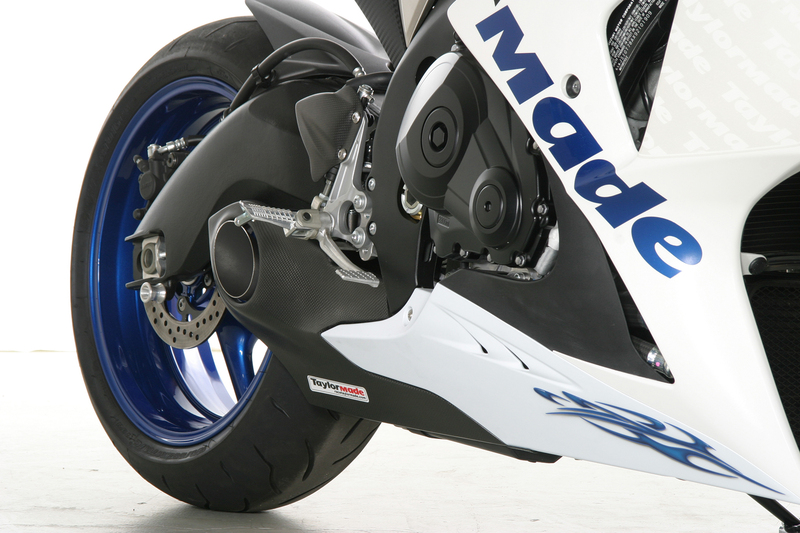 The 2012-2016 Suzuki GSXR 1000 full exhaust kit is the powerful performance and signature MotoGP-style exhaust you’ve been looking for. 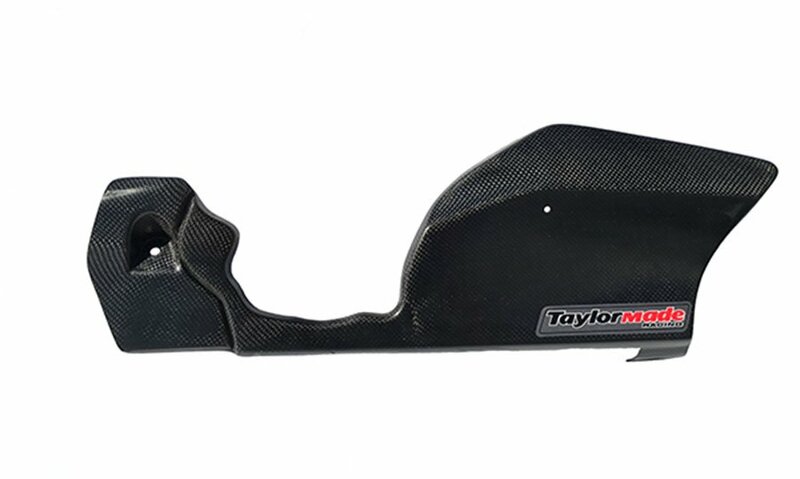 Our racing-design, all stainless-steel full system includes taped header design and both left and right side trim panels made of 100% pure carbon fiber. This results in an exhaust that is ultra-durable against high temperatures and the regular wear and tear of everyday riding—and trust us, you’ll want to ride every day with a TaylorMade exhaust installed. 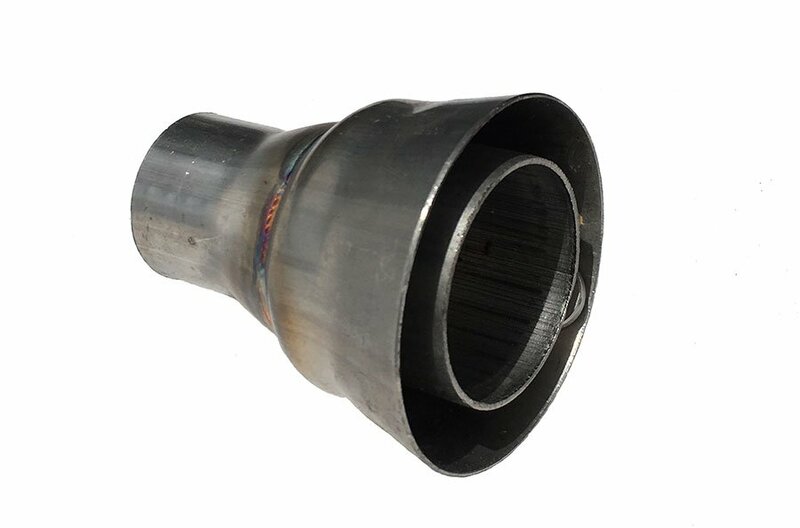 Feel the power as our racing pipe takes off at 7500 RPM and builds to a staggering peak of 177 horsepower at 12,500 RPM. 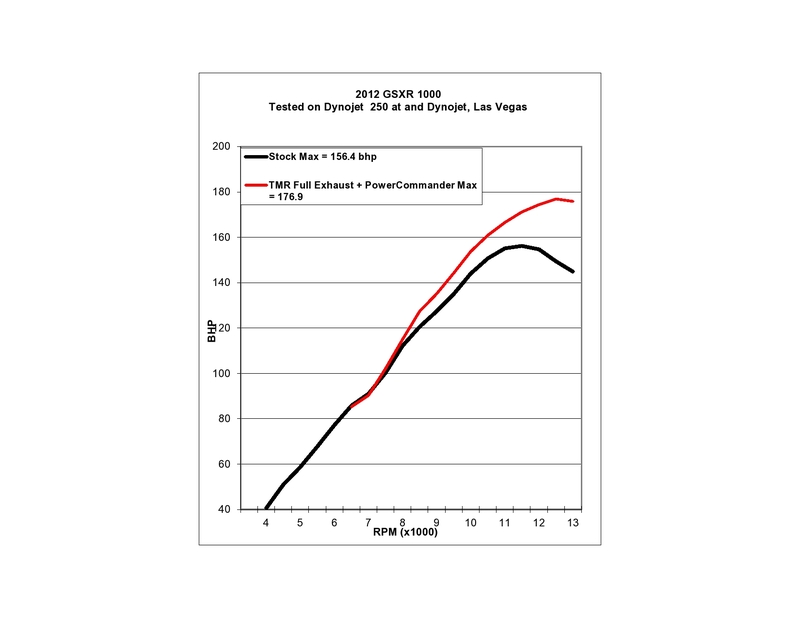 This results in an outstanding +20hp increase from stock at top-end! Low and midrange power are not compromised with our TaylorMade exhaust, and riders will be happy to note that they’re losing 10lbs. 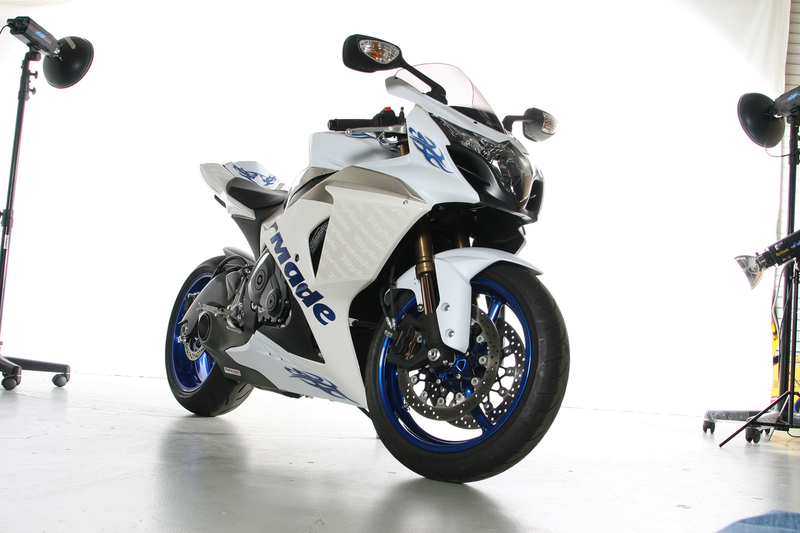 from their bike by switching their stock exhaust with a streamlined TaylorMade system. Just wanted to thank you for all your help and guidance. The full exhaust System on my GSXR1000 2013 was easy to install and the instruction packet was easy to read and very helpful. I am very happy with the sound and it looks amazing I have gotten so many compliment since installing my Taylor Made full exhaust system. Thank you keep up the great work. 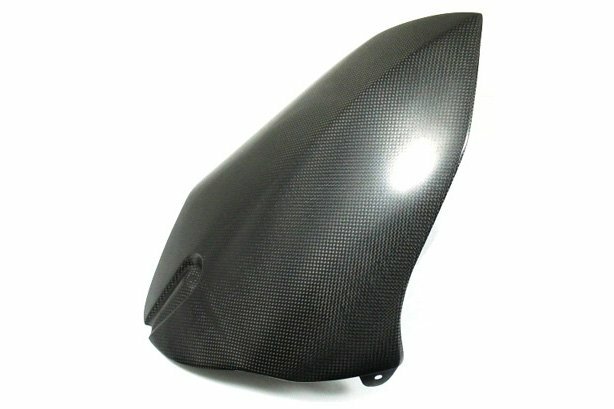 I’ll be definitely purchasing more parts for my bike. Nice clean set up. Alittle tricky to install but once it’s on its well worth the time! Love the sound Too. thank you very much for helping me with this purchase and my previous purchases. i really enjoy doing business with you and your company. i am looking forward to sending my friends and fellow clients to you. your products excellent, but your customer service is even better. thank you again! This is a very nice and unique exhaust system! The sound at low RPMs is sortive annoying and rattles my helmet in a bad way but once it gets into the the upper RPMs it sounds absolutely amazing! On top of the cool & unique sound it makes, it also improves the look of the bike 10-fold. The only drawback to the exhaust is the carbon fiber cover around the tip. while its necessary for the look of the exhaust, it very much gets in the way when you need to change the oil. Other than that if your looking to set yourself apart from other bikers, this is a good place to start.